I have put a temporary halt to Adventure Saturday so I am back to talking about previous days out we have enjoyed as a family! The wife is getting quite grumpy as she likes to visit new places, hopefully it will be back to normal next month. I have a feeling she won’t let me stretch it out much longer, regardless of available funds or not! So this brings me to revisiting our trip to Knowsley Safari Park. Our highlight was the incredible Sea Lion Show; I am not a huge fan of performing animals as a rule, but Knowsley Safari Park do seem to put a lot of effort into the care and conservation of sea lions as a whole. It’s not just about entertainment they really want to help educate everyone watching. Plus the sea lions look so happy! They seem to think its hilarious performing their tricks and they get plenty of time when they are not performing to enjoy their pool and sunbathe. 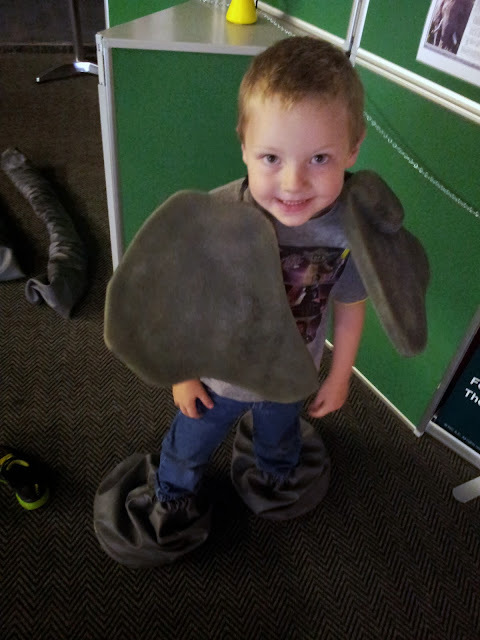 My boys loved the parks, lots of areas to burn off steam and youngest through it was funny to dress up as an elephant. The amusement rides are great again though this is an extra, so if you are on a budget it might be best to skirt round this section of the safari park. There is a birds of prey display, the bat forest and now the wild trail – a walk through a woodland area where you can also get a better look at the wolves in their new enclosure. 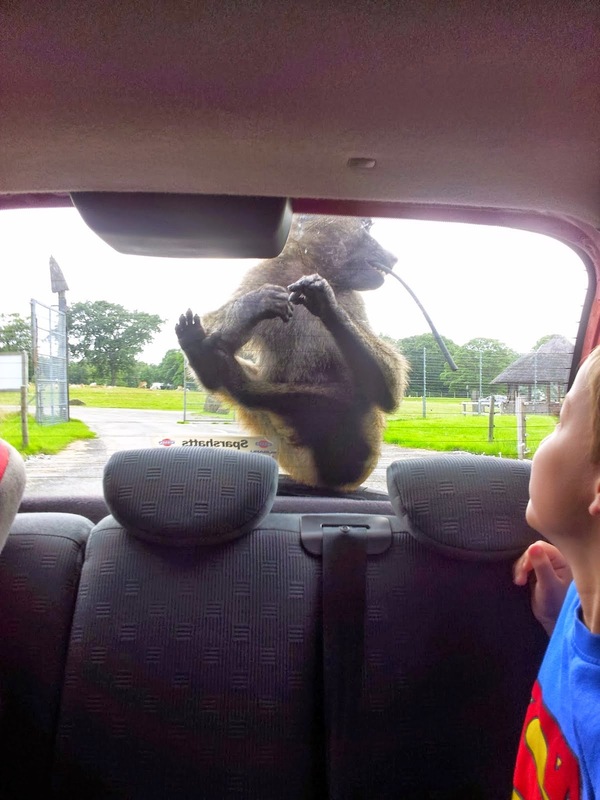 We haven’t experienced that yet so need to reschedule a return visit to see the improvements to Knowsley Safari Park. They also have some special animal encounter experiences; my boys would like the Meerkat encounter to get closer to these mischievous and inquisitive characters.